Since 1987, the AIDS Walk San Francisco has raised millions of dollars for HIV programs and services in the community. This year, you can join Leafly and Team Cannabis for the 2016 AIDS Walk in San Francisco on July 17th. Help raise money and awareness for HIV/AIDS, including HIV support and care services. Pick up a Leafly strain tee and sign up to be a walker for Team Cannabis. All proceeds from Leafly strain tees for the month of July will benefit AIDS Walk SF — just use the code TEAMCANNABIS at checkout. 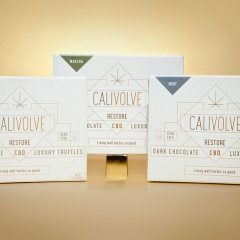 How did Team Cannabis get its start? We spoke with Dan Grace, a founder of Team Cannabis and president of Dark Heart Industries in the Bay Area, about the origins and future of the AIDS Walk SF team. Leafly: How did you start Team Cannabis? Dan Grace: It sort of sprung out of a conversation I had with Christopher [Esposito] before he started working at Dark Heart. We’d known each other for a long time — Christopher has done extensive work in the AIDS/HIV community over the years. Most recently he’s been working with an organization called Project Inform, where he sits on the board — I believe he’s been doing that for about 10 years now. I met with Christopher and his executive director, Dana Van Gorder, and we talked about the history of cannabis. Christopher knew I was in the cannabis industry and I was just introducing him to our company at the time. He’s worked shoulder-to-shoulder with the cannabis community since the height of the AIDS epidemic, which, of course, is where medical cannabis was really born. They thought there might be an opportunity to work together and I agreed. We remember where we came from and we continue to support each other. One of the things I like about working in the cannabis industry in the Bay Area is that we all came out of that time period. You know, we still have people involved in the industry in the Bay Area that were involved in the medical cannabis movement back then at the height of the AIDS epidemic. We have that social mission as a core part our DNA. I get a lot of enjoyment out of working together within the industry on some of those social missions because it reiterates to me that we can be a different kind of industry. We can work together on some of these social missions even if we do, on a day-to-day basis, compete with each other or are neck-deep in our own work. So that was kind of the thought — it was nice we were able to pull it together, that first year [we got] a small coalition together. Leafly: What are some great accomplishments Team Cannabis has been able to achieve? We heard you raised more than Google last year for the AIDS Walk SF. 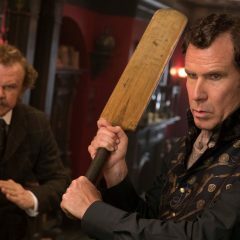 Dan Grace: That was definitely one of the [most fun]. Candidly, I think that says more about tech’s lack of participation than it does about our participation. If we can kind of call them to task on that, it’s an accomplishment. I think we raised close to $70k last year, that was pretty huge. The year before that we were in the 30 [thousand dollar range] so we nearly doubled. We brought on a lot more participants, we had over 100 walkers, and of course we’re growing that again this year. They’re all great accomplishments. We had the opportunity to speak in front of the Star Walker Breakfast last year. One of my favorite parts of last year was the checkpoint we were able to do. So here we have tens of thousands, 20 or 30 thousand people who go on the walk every year. We’re one of the 4 checkpoints on the route and everyone walks by Team Cannabis, and we got to share some of our literature about cannabis, learn about the shared history between the cannabis movement and the AIDS/HIV movement. Our message last year was that we were “coming out.” In the cannabis industry there’s still a great deal of stigma, much in the same way they fight stigma in the gay rights movement. I think that was kind of a shared story and we got to share in that. Being public and transparent in that way, we got to build that public relationship and get in front of many people directly. It’s always a good opportunity for us. Leafly: What is the future of Team Cannabis? Dan Grace: I hope more than anything that as the industry grows, we’ll be able to continue to promote our common social mission within the industry. I certainly hope in this configuration we’re able to continue to grow the participation in the AIDS Walk, but I would hope as time goes on [Team Cannabis] is able to participate in more types of events, give back in more ways. and bring more participants to the table. I think that would be very powerful for us. It’s still the early days and we don’t know what the future will hold. I could see a time, especially as adult use comes online in California and the regulatory system boots up, when things normalize for all of us. I hope we’ll be able to remember these sorts of charitable events and really make an even bigger impact with our social mission. I look forward to working together on that. By pooling our resources, we can make a bigger impact and do more exciting things. It’ll be fun! I feel good! 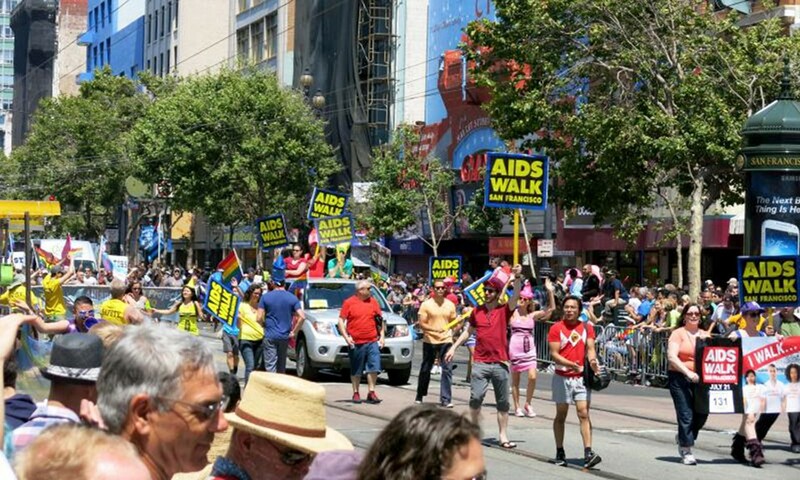 Don’t miss out on the AIDS Walk SF on July 17th! Pick up a Leafly strain tees and sign up to be a walker with Team Cannabis. Remember, use the code TEAMCANNABIS at checkout so proceeds can benefit AIDS Walk SF for the month of July. We hope to see you in San Francisco!